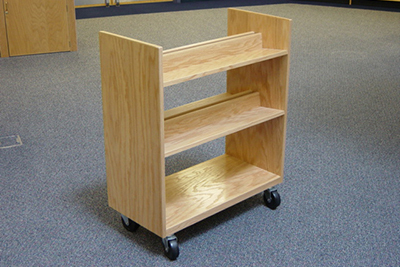 Book Trucks for all of your book mobility and organizing needs. No. 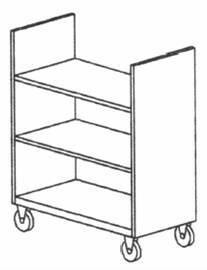 BT-45 - BOOK TRUCK - 4 sloping shelves with back, four 4" rubber swivel casters, can also be used for movable displays, size same as No. BT-40. 11" between shelves, 13 1/2" from front of bottom shelf to base. No. 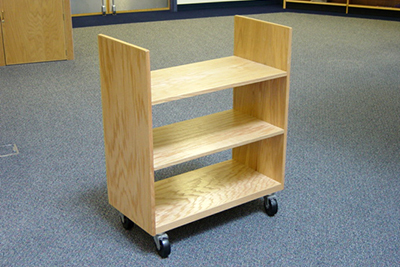 BT-40 - BOOK TRUCK - 2 flat full width shelves. Four 4" rubber swivel casters 32" L, 16" W, 38 1/2" H, 11" between shelves. Bumpers available for all Book Trucks. No. DBT-35 - DEPRESSABLE BOOK TRUCK - platform recedes as books are placed on it. 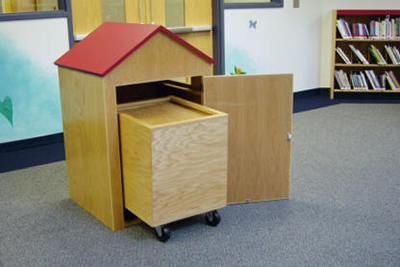 Fits under standard desk or in corners for handy return of books. 28"H, 24" W, 20" D with 4 swivel casters. No. DBT-36 - DEPRESSABLE BOOK TRUCK - (Used with No. 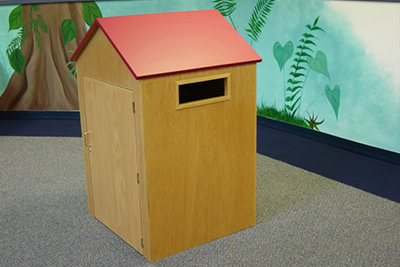 LCC-11 Book Return Unit.) Same as above with the following dimensions: 28" H, x 30" W x 22" D.
No. SS-1419 - STEP STOOL - makes it possible to reach high books, 16" W, 14*"H, 19" D. Step 8" deep, 7"W up. Made to match furniture. THE W.C. HELLER COMPANY was established in 1891 and manufactures high quality wood shelving, cabinets and equipment. 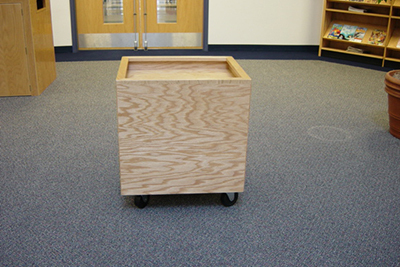 Heller furniture has continually been improved through new production techniques in assembly and finishing over the years. 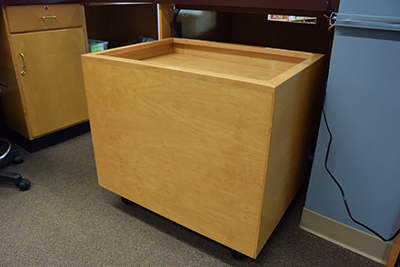 All Heller Library Shelving, Counters, Tables, Book Trucks, Card Files, Displays and Charging Desks are guaranteed against defective materials and workmanship for one year. Due to continuing product improvement, the W.C. Heller Co. reserves the right to change specifications without notice. Copyright © W.C. Heller & Company. All rights reserved.